With the triomis Egg Timer app, you can’t just cook "the perfect egg" as much as you like it. The free app brings up an egg timer on the screen, which can easily raise with your finger. For up to 60 minutes, the egg timer ticks clearly audible. Once the time expires, the clock is ringing. If you chose to open other apps, or make a phone call (which sometimes occur with a phone), you will be notified via a pop-up message and the ringing of the extended time. You can choose between three different layouts. Whom the operation with the finger seems too difficult, has also the possibility to enter the time using the keyboard. 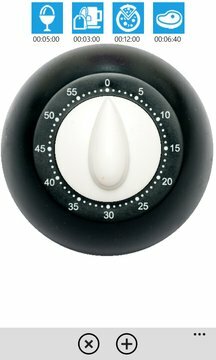 triomis Egg Timer is a simple application and is not better than a traditional egg or kitchen clock. Only that you don’t have these things always at hand, for example in the vacation home . When you cook eggs or noodles, or bake a cake when frying you may use the clock on your oven. Unfortunately, you hear this no more, when leaving the kitchen. However, your Windows Phone, you have always with us. 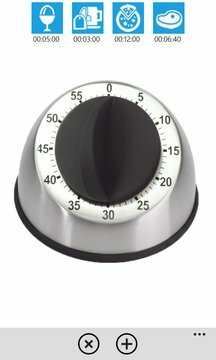 The triomis Egg Timer reminds you that the eggs or the cakes are ready. Not only in cooking helps triomis Egg Timer. Always if you want to be reminded of things you can use the timer for example, if your children are playing again with your Windows Phone or watch TV.